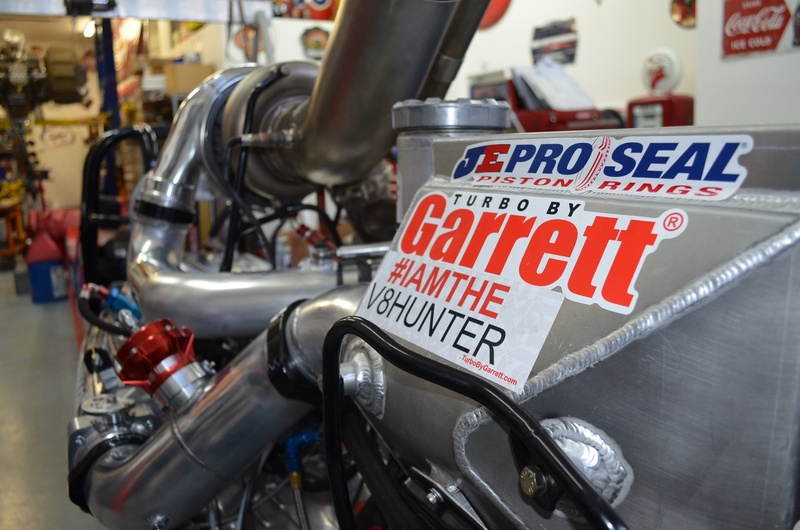 Gunning for the 5s in a Competition Eliminator, Brian Fitzpatrick's dragster uses a billet version of the popular inline-6 engine. Previously Featured on Street Street Online. Toyota’s 2JZ straight-six powerplant is regarded as one of the best six cylinder engines ever made. With the ability to produce well into four-digit horsepower territory with reliability to boot, it’s hard not to like. JE 10.5:1 pistons feature their extreme duty design, vertical gas ports, double pin oilers, Tuff Skirt coating, and JE Pro Seal rings, set at .020 top and .021 second ring gap. 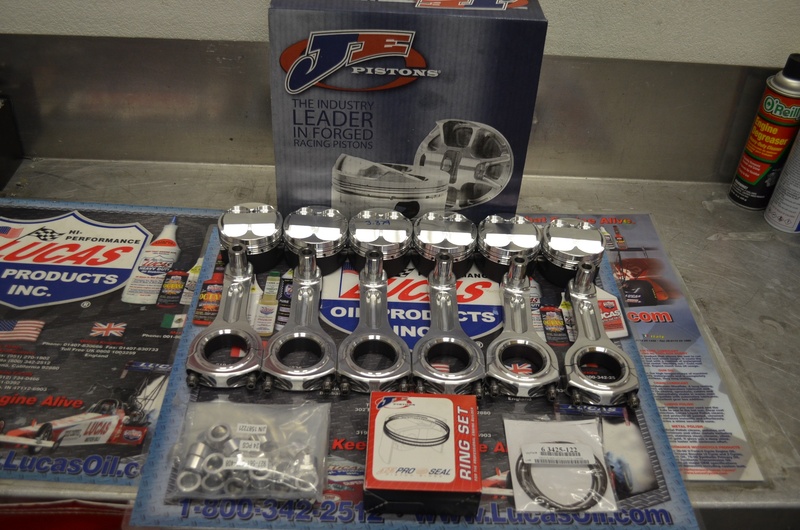 The pistons are attached to 5.59-inch length GRP aluminum rods. 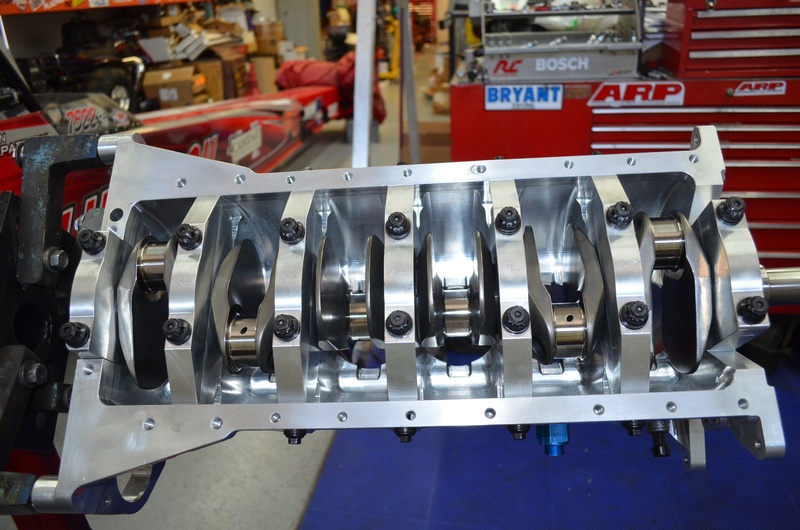 The team bought the dragster in late 2006 and started with a stock 2JZ block and crank configuration. Once it was sorted out, it ran consistent 6.50s during the NOPI and NHRA Sport Compact drag racing days. Once sport compact drag racing died as a whole, Fitzpatrick made the move to NHRA Competition Eliminator. Four-bolt ARP 2000 main studs house the recycled Bryant 89.78mm (3.535-inch) billet stroker crank on coated main bearings. EKanoo racing recently broke the 2JZ quarter mile record with their FT86 Pro Import entry with a 5.89 at 241 mph. While that’s a very respectable time, a dragster carries a smaller footprint and is considerably lighter. Fitzpatrick has already gone 6.22 at 226 mph back in 2010 with an older combination, but can he now pick up four tenths of a second to take over the 2JZ world record? Well, it all starts at the heart of any vehicle – the engine. 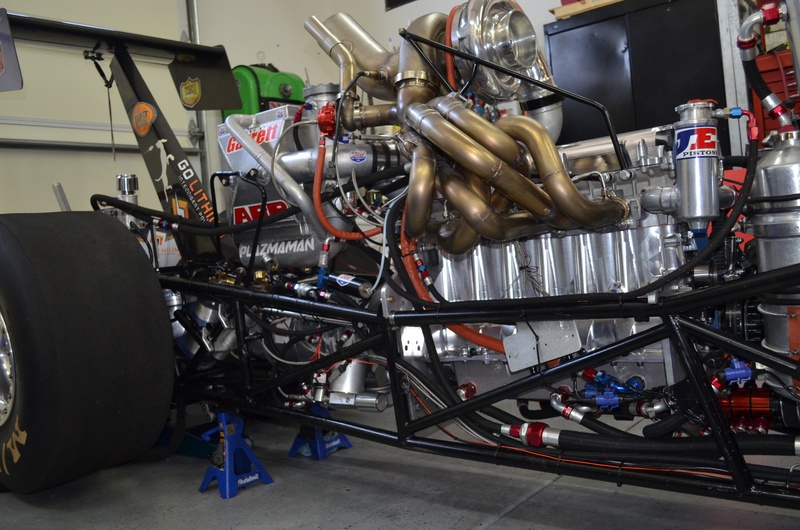 “Our goal is to be the first import dragster into the 5s and then we want to go for the import world record that we once held for four years,” exclaims Fitzpatrick. 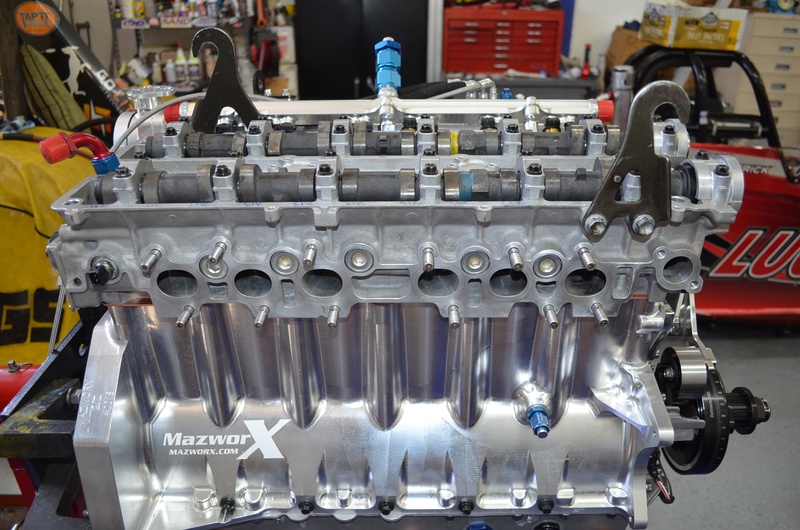 The Mazworx billet 2JZ block is the hot ticket to make big power and is the same block the EKanoo racing team uses. Previously, Fitzpatrick had accomplished the original 2010 record on a stock block, but it has its limitations – especially when it comes to weight, cylinder head clamping force, and cracking the block under extreme cylinder pressures. A 3.2-liter configuration with Darton sleeves was chosen due to previous stock of TRD-spec Bryant billet crankshafts. Brian shoves the JE pistons and GRP rods down the bores so they can be connected to the crankshaft. Rods of choice are aluminum GRPs while JE Pistons and rings handle the ludicrous amount of cylinder pressure created by the Garrett GTX 5533R 98mm turbo. “Since we run a lot of boost, we called up JE to build us a set of forged 2618 alloy pistons that could handle our power,” explained Fitzpatrick. An SCE copper gasket borders between the block and fully worked 2JZ head by Xtreme Cylinder Head. ARP’s high quality, half-inch L19 head studs secure the head to the billet block. A Titan Motorsports direct port nitrous kit is fitted to the Plazmaman 12-injector intake manifold and is only there to help spool the turbo. An ARE dry sump oil pan covers up the mains and completes the short-block portion of the build. When we asked Brian what it’s like to stage and drive his dragster, he explained, “I go up on a mini 2-step first when I stage the car into the first bulb. As soon as the motor comes up on boost, I grab the transbrake and roll into the second bulb. When the light drops, we’re making 35 pounds of boost and the ride is on. It pulls some serious G-forces – it puts you back in your seat! Keep an eye on Brian Fitzpatrick as he attempts to reclaim the sport compact ET record! The factory cylinder head casting for the 2JZ works extremely well. Xtreme Cylinder Head has performed their full race CNC porting program on the head and installed Supertech 1mm oversized valves. Camshafts are provided by Kelford and are 292/302 duration at 10.80/10.80mm lift (at 1.00mm). 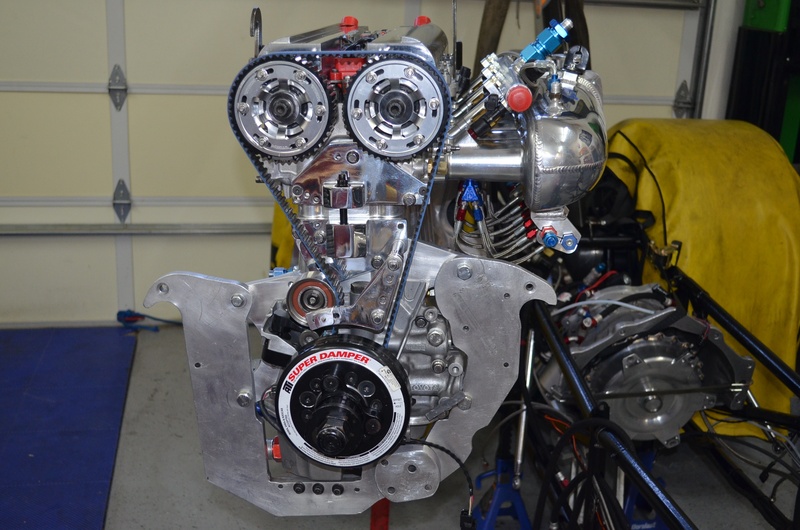 The front of the motor houses the Titan Motorsports adjustable cam gears and a Brangers Racing billet timing tensioner. The ATI damper keeps the engine’s harmonics in check. 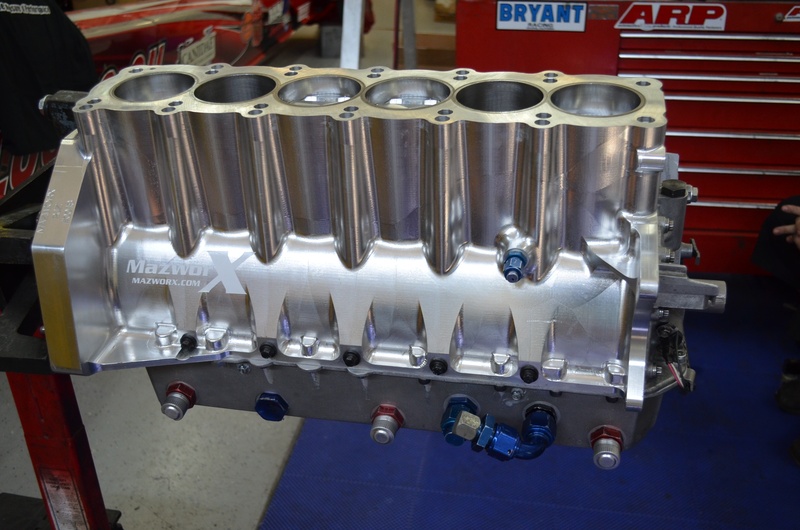 Here you get a sneak peek of the Titan Motorsports direct port nitrous system. It takes a bit of work to spool that 98mm turbo on a 193ci engine, in which the nitrous kit activates at 2 psi of boost and off at 30 psi to help get it spooled at the line. Even though alcohol performs an amazing job removing heat from the incoming air charge, a Garrett/Ed Thornton air-to-water intercooler further cools things down. There’s definitely a lot going on here! 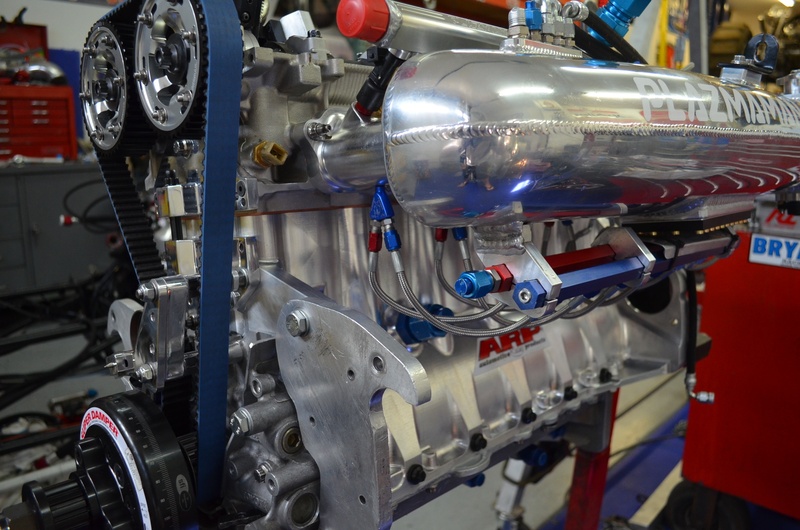 Fitzpatrick made the switch from a manual transmission over to a Bruno transmission with turbo dump along with a Neal Chance bolt-together Pro Mod billet torque converter, fitted to an ATF Speed billet flywheel. 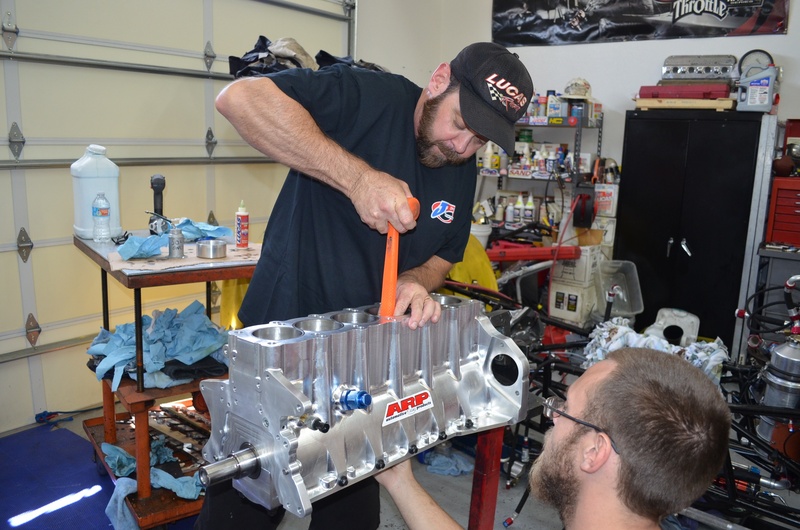 Brian hopes that the automatic will improve the consistency of the 2JZ dragster since he now runs in index classes.